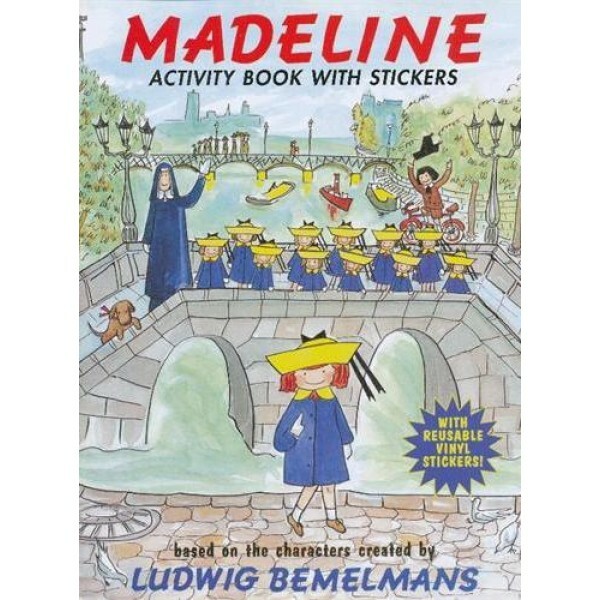 It's playtime with Madeline! 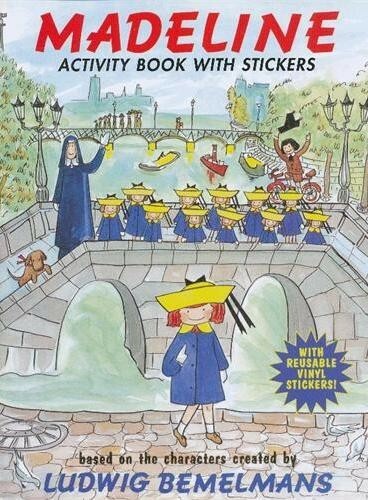 This fun-filled collection of reusable stickers, simple puzzles, and pictures to color features Madeline, Pepito, and other beloved Ludwig Bemelmans characters as they frolic in scenic Paris. Gatefold flaps on the front and back covers unfold to reveal full-color, glossy spreads where young readers can creatively place their reusable vinyl stickers. For more products featuring this beloved children's character, visit our Madeline Collection.